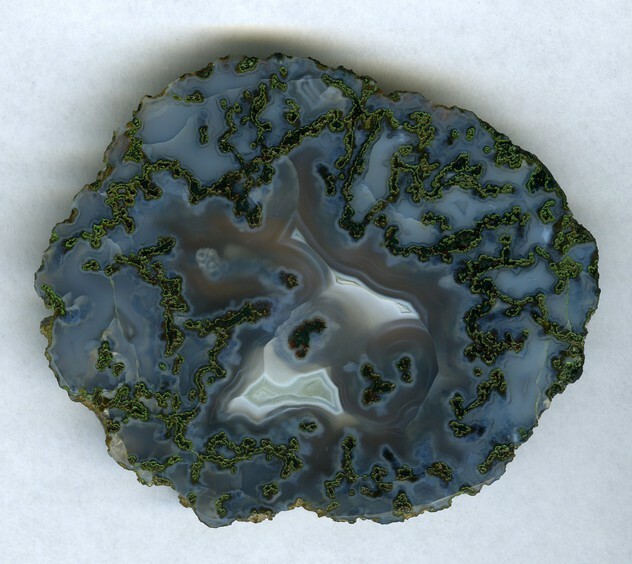 Moss Agate: Mineral information, data and localities. 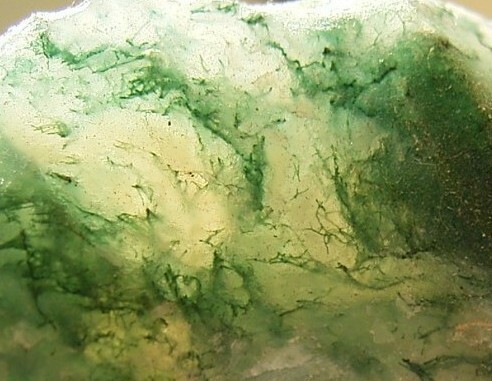 Visit gemdat.org for gemological information about Moss Agate. Agate 5 photos of Moss Agate associated with Agate on mindat.org. Quartz 2 photos of Moss Agate associated with Quartz on mindat.org. Chalcedony 2 photos of Moss Agate associated with Chalcedony on mindat.org. Celadonite 2 photos of Moss Agate associated with Celadonite on mindat.org. Jasper 1 photo of Moss Agate associated with Jasper on mindat.org. Petrified Wood 1 photo of Moss Agate associated with Petrified Wood on mindat.org. 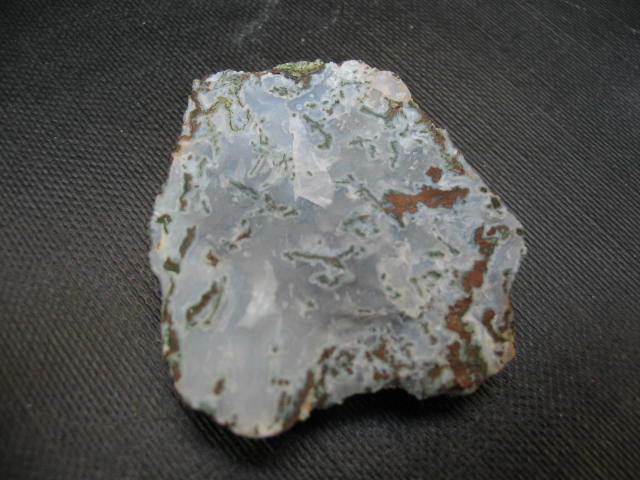 The following Moss Agate specimens are currently listed for sale on minfind.com. Phillips, K. A. (1978) Minerals of Manitoba: Vol 1 Nonmetallic and pegmatic. Manitoba Mineral Resources Division Educational Series 78/1. ; Ormerod, M. J., M.D. (1964) Gemstones of Manitoba: Lapidary Journal, v.18, no. 6, p. 704. Quinn Mineral ad, Rock & Gem, v. 6, no. 12, p. 38. Zeitner, J. C.	1964	Treasures of the Desert: Lapidary Journal, v. 17, no. 11, p. 1082-1089. Mining and Scientific Press (1866), The “opal claims” of Stockton Hill: Mining and Scientific Press: 12: 146; Murdoch, Joseph & Robert W. Webb (1966), Minerals of California, Centennial Volume (1866-1966): California Division Mines & Geology Bulletin 189: 316. MacLachlan, D. 1950 The Greatest Collecting Area: Lapidary Journal, v. 4, no. 2, p. 96-100. Kunz, George Frederick (1901), Precious stones: Mineral Resources U.S., 1900: 763; Murdoch, Joseph & Robert W. Webb (1966), Minerals of California, Centennial Volume (1866-1966): California Division Mines & Geology Bulletin 189: 317. Kunz, 1892. Gems & Precious Stones of N. America, p.132.